The Young New Yorkers membership program is a special group of young professionals who enjoy and support the New York Philharmonic. Members play an important role in the life of the Orchestra by developing long-term relationships as donors and subscribers. They also have the opportunity to become future leaders of the Philharmonic. Young New Yorkers enjoy concerts together, learn about music through exclusive evenings with artists and musicologists, and share unique social activities. Join musicians and your fellow Young New Yorkers in Lincoln Center Kitchen to toast another unforgettable performance. To purchase tickets for this concert from a special reserve of seats in the Orchestra, please call (212) 875-5683. Join your fellow Young New Yorkers for a happy hour at Boulud Sud, and enjoy Stravinsky’s iconic Firebird together. 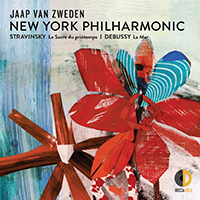 RSVP by calling the Young New Yorker line at (212) 875-5761, or emailing yny@nyphil.org. Explore the incomparable history of the Orchestra in a private tour of the Philharmonic Archives, led by our new Director of Archives and Exhibitions, Gabryel Smith. Don’t miss your chance to experience this record of musical and cultural history. RSVP by calling the Young New Yorker line at (212) 875-5761, or emailing yny@nyphil.org. .
Join your fellow Young New Yorkers for an intimate chamber music performance in one of New York’s most unique and vibrant private clubs, Norwood. Members of the Philharmonic Teaching Artists will perform works that touch on ways in which composers in America have expressed their immigration stories—how the places we come from and the places we go to contributed to their sense of who they are. For more information or to RSVP, call (212) 875-5683 or email goetzingerb@nyphil.org. Take advantage of your reserved VIP seating for two at the Annual Free Memorial Day Concert at The Cathedral of St. John the Divine. Learn more information on the concert. Join us for the Young New Yorkers Summer Benefit at a private New York City club! The evening will include a welcome reception, an intimate musical performance by Musicians from the New York Philharmonic, a post-concert dinner, and late-night dancing with an open bar. Learn more and purchase your tickets today. Join us backstage pre-concert to meet members of the Orchestra over small bites and refreshments. You can join online or over the phone (212) 875-5683. You can also email yny@nyphil.org with any questions. What benefits do Young New Yorkers receive? Becoming a Young New Yorkers program opens the door to a full year of membership benefits, plus exclusive perks just for Young New Yorkers. You will receive discounts at area restaurants and on tickets, and have opportunities to meet and mingle with some of the Philharmonic’s artists. Young New Yorkers 35 years old or younger are eligible to participate in the MyPhil subscription series, with prices and benefits geared to young adults. Contact the Young New Yorkers office for more information.